"I break /shamelessly / sand into glass / into sand"
to ear, your slight frame in my arms roars. I didn't walk into the ocean to die. what no one else notices. and arching its back. Come back. have met. Have we met? Assuming I had ever left. when we barely make it to the car. I am waiting for snow in a way I never wait for snow—this purple pomegranate sky should just split open and let all the seeds out. Maybe I should tear all the seeds out and line them up like freshwater pearls. I have giant hands. Not for delicate matters. Not for the flakes catching on your lashes. I'm falling to the bottom of the snowy salty ocean. I should make you a necklace before you go. Of pearls and snow. Of all the ways I thought this snow might be. Snow like the fierce voice of Sirens. Snow like the promise of fingers. Snow like the space between your neck and shoulder. The smell of snow like becoming new. Snow and the way I have always wanted. To drift. Here are these seeds. Under my tongue. Like crystals of sugar. Like the way you cry. Like a terrible confession. Take one. 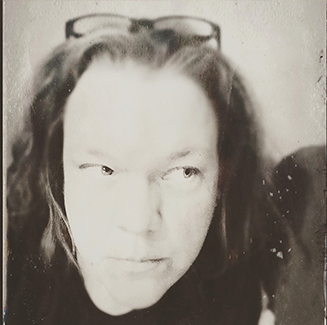 JEN ROUSE's poems have appeared in Poetry, Poet Lore, Midwestern Gothic, Wicked Alice, Yes Poetry, Anti-Heroin Chic, Crab Fat Magazine, Up the Staircase, and elsewhere. She was named a finalist for the Mississippi Review 2018 Prize Issue and was the winner of the 2017 Gulf Stream Summer Contest Issue. Rouse’s chapbook, Acid and Tender, was published in 2016 by Headmistress Press. Find her at jen-rouse.com and on Twitter @jrouse.